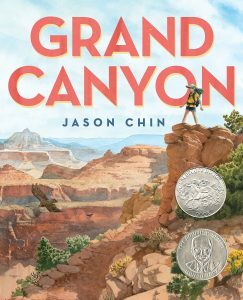 Grand Canyon by Jason Chin (Roaring Brook, 2017) – A fully illustrated exploration of the Grand Canyon from the rim to the deepest depths. Chef Roy Choi and the Street Food Remix by Jacqueline Briggs Martin and June Jo Lee, illustrated by Man One (Readers to Eaters, 2017) – The son of Korean immigrants learns high-end cooking and ends up running a successful food truck in Los Angeles. Dazzle Ships: World War I and the Art of Confusion by Chris Barton, illustrated by Victo Ngai (Millbrook, 2017) – The story behind the Dazzle camouflage paint scheme used on allied ships during World War I and II. Her Right Foot by Dave Eggers, illustrated by Shawn Harris (Chronicle, 2017) – The story behind the Statue of Liberty, including the torch, the seven rays in her crown, the inscription on the book she holds, the broken chains at her feet, and the reason one foot is striding forward. 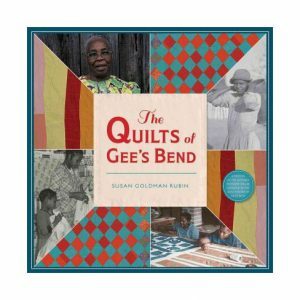 The Quilts of Gee’s Bend by Susan Goldman Rubin (Abrams, 2017) – The descendants of Alabama slaves come together each night to quilt, chat, laugh, and sing hymns as they stitch scraps of old shirts, dresses, and aprons into vibrant designs. The World Is Not a Rectangle: A Portrait of Architect Zaha Hadid by Jeanette Winter (Beach Lane, 2017) – The life of an award-winning, convention-bending architect and the ideas, images, and dreams that shaped her life. Danza! 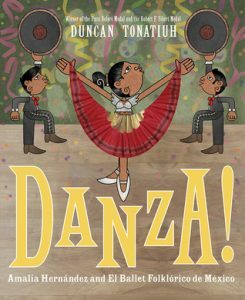 : Amalia Hernández and El Ballet Folklórico de Mexico by Duncan Tonatiuh (Abrams, 2017) – The story behind choreographing and performing ballets based on the folklórico traditions of villages across Mexico. Fault Lines in the Constitution: The Framers, Their Fights, and the Flaws That Affect Us Today by Cynthia Levinson and Sanford Levinson (Peachtree, 2017) – This book lays out the “limitations, ambiguities, and flatly bad ideas” in the U.S. Constitution that have led to crises through the nation’s history. If Sharks Disappeared by Lily Williams (Roaring Books, 2017) – A smart and insightful child of color invites readers to consider the devastating implications of a planet without sharks. Isaac the Alchemist: Secrets of Isaac Newton, Reveal’d by Mary Losure (Candlewick, 2017) – A narrative biography of the father of physics, beginning with his awkward and bookish childhood and drawing on his notebooks and diaries. 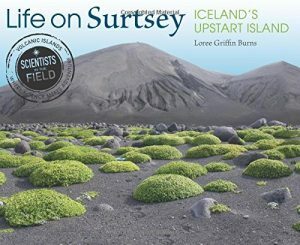 Life on Surtsey: Iceland’s Upstart Island by Loree Griffin Burns (Houghton Mifflin Harcourt, 2017) – The ecosystem of an island newly generated in 1963 and now home to myriad flora and fauna. Maya Lin: Thinking with Her Hands by Susan Goldman Rubin (Chronicle, 2017) – The life of the mastermind architect and activist (creator of the Vietnam Veterans Memorial in Washington, D.C.). 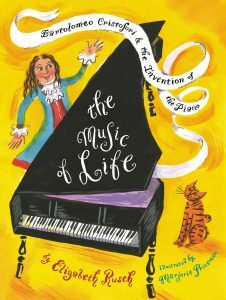 The Music of Life: Bartolomeo Cristofori and the Invention of the Piano by Elizabeth Rusch, illustrated by Marjorie Priceman (Atheneum, 2017) – Through trial and error, Cristofori crafted an instrument that can play piano (softly) and forte (loudly), and how the instrument unleashed the musical imagination of composers from Haydn to Joplin. The Whydah: A Pirate Ship Feared, Wrecked, and Found by Martin Sandler (Candlewick, 2017) – The discovery of the wreck of the Whydah off the coast of Cape Cod in 1984 has opened the troubling history of this ship in the 1700s.